The last stop on their journey hadn’t been uneventful. Paul and Barnabas had encountered Elymas the Jewish sorcerer. They had also met proconsul Sergius Paulus and shared the gospel message with him. 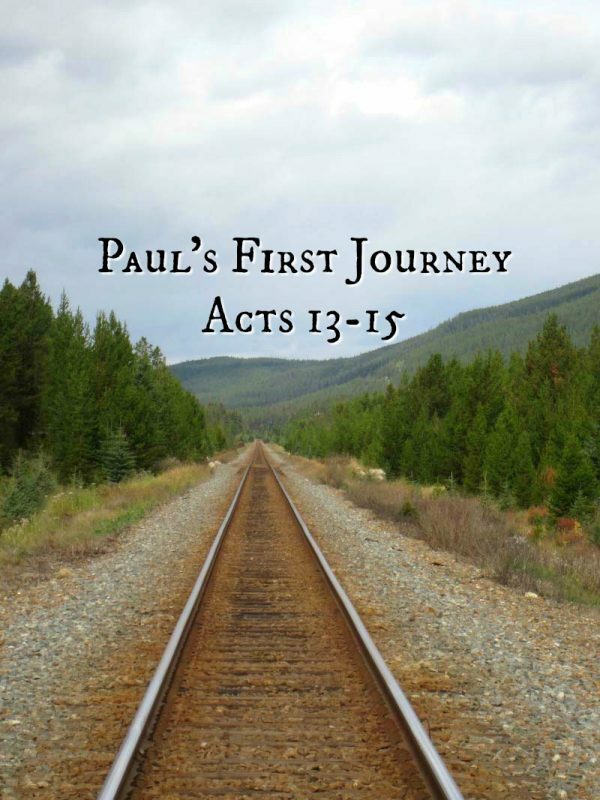 A strong possibility exists that upon his request, Paul, along with Barnabas, undertook the journey to Pisidian Antioch in order to share the gospel with the family members of Sergius Paulus in that region. Sergius Paulus would have supplied them with letters of recommendation from him to his family in Pisidian Antioch to ensure that Paul and Barnabas were treated hospitably. Paul and his companions leave Paphos on the island of Cyprus and sail to Perga in Pamphylia where they travel inland to Pisidian Antioch. Prior to their departure for Pisidian Antioch, John Mark leaves the company and heads home to Jerusalem. As travelers and guests, Paul and Barnabas are offered the opportunity to speak while attending the synagogue. Paul, relying on his vast knowledge of the scrolls and his rhetorical skills, begins with the deliverance and salvation history of Israel. He, then, segues into the story of Jesus and concludes with Jesus’ resurrection. Paul makes his appeal to his audience on the basis of their shared ancestry. Paul ends his teaching by stating that through Jesus justification from all sin is possible. The Law only allowed for justification of sins committed inadvertently not those sins committed deliberately or with premeditation. Paul explains that Jesus provides justification for all sin. Intrigued by his message, the people invite Paul and Barnabas to return and speak further on these matters on the following Sabbath. Those open to the message of Jesus heard it and the words began to take root. Their hearts pricked by God. Paul and Barnabas continued onward buoyed by the grace of God at work in the people of Pisidian Antioch.